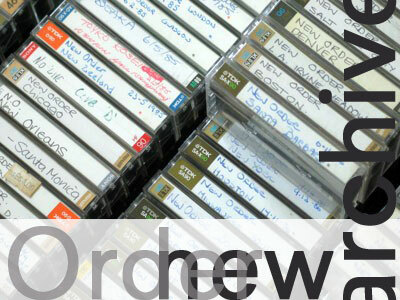 The New Order Archives: welcome. Thanks for taking the time to do this. It makes me and many others very happy! Hi, thanks for all this wonderful New Order stuff. I have a copy of the Zurich 1984 broadcast direct from the master - I got it on Dime 3 or 4 years back and it is still on the tracker. I am surprised you do not have this? It is a direct digital copy of the master analog radio recording, the full show. I doubt you will get a lower gen copy than that. I will be interested to see a remaster of that! Interesting; it's been a couple years but I thought that Dime version had dropouts etc? Congratulations for all this work, the New Order soundboards are the best in the world but they need indeed to be remastered. Do you have the 1986 Hollywood soundboard ? It's a great one and it needs rework too. I have 86 Hollywood in never-before-heard quality; a direct dub off the radio station's reel. It sounds spectacular. We will get there! I'd just like to add my vote of thanks to you for doing all of these. It really is greatly appreciated. Yep, me too. Brilliant! Ta. wow ! just downloaded the firsat three remasters .awesome sound quality,thanks very much really appreciate your efforts to bring these epic recordings up to date keep up the good work ,can't wait to see what the future holds. Wow! much improved sound quality. Thank you for all your hard work and for sharing these. Soooo AWESOME....keep going.....loving every minute of it!! !